Robinsons Retail Holdings, Inc. (RRHI) launches Robinsons Townville, a community mall that has everything and designed to have brand s and services that meets the needs of a growing community. From food, banks, clothing, books, grocery etc., Robinsons Townville has it all for the people within a community. RRHI has nine malls nationwide including in Cabanatuan, Pulilan, BF Ruins, Davao, Laguna, Dumaguete, Imus, Dasmarinas Cavite and Meycauayan. 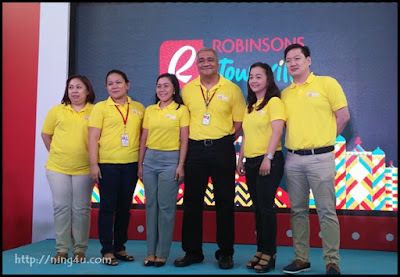 Recently, me and my co-bloggers witnessed the launch of Robinsons Townville in Meycauayan, Bulacan. Together with the Robinsons Townville 's AVP Mr. Joel Delfin, we were welcomed by a carnival-themed event, a fun-filled morning started from the program with lots of acrobatic shows, then games and activities waiting not only for the media but also to the attendees of the said launch. "Robinsons Townville connotes a sense of belongingness, of being family-oriented, fun and friendly. It is convenient to go to. It offers goods and services that reasonably meet the expectations of households,” said Mr. Delfin. The 3,000 sqm malls will also houses the Robinsons affiliates like Robinsons Supermarket, Robinsons Department Store, Robinsons Appliances, Handyman, Daiso Japan and South Star Drug. 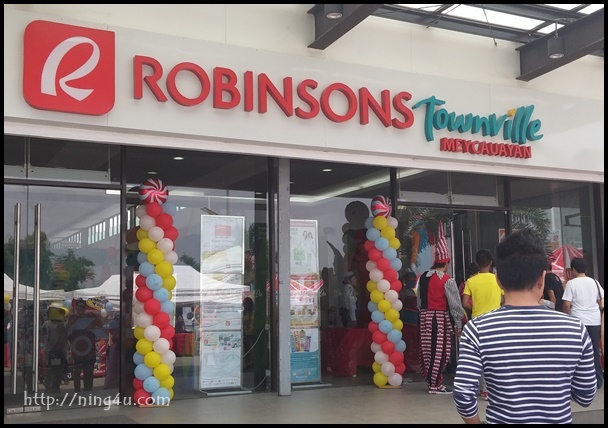 The Robinsons Retail Holdings, Inc.'s Robinsons Townville launches will continue on August 28 (Cabanatuan), September 11 (BF Paranaque) and on Spetember 25 (Pulilan). See you all there and have your needs supplied with Robinsons Townville.